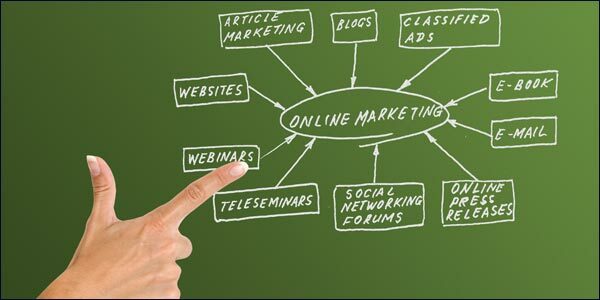 Online Marketing Continues To Outpace Direct Marketing States The Latest DMA Report. Posted on 17th October 2011 at 15:52. You’d think that with the world’s political leaders seemingly intent on stumbling from one financial crisis to the next, there’d be absolutely no faith in the world’s markets. Every sector of the market is facing cutbacks as businesses struggle to come to terms with this global depression. Confidence on both sides of the Atlantic is at rock bottom levels, with financial experts predicting that the prospects for future growth lie somewhere between slim and non-existent. Yet, a report recently released by the Direct Marketing Association would appear to buck this trend and distance itself from the doom and gloom that’s enveloped us all. On the contrary the DMA report paints a surprisingly bright picture. Rather than being down-at-heel, the report claims that sales are doing much better than expected, in the USA at least, and that we shouldn’t be too glum. Direct marketing is actually faring better than many would’ve predicted. Most critics have written it off, claiming it could never compete with online marketing, yet the DMA report suggests that direct marketing-driven sales are rising at a faster pace than the overall US economy. So, what’s going on and why are they so optimistic? Hasn’t direct marketing had its day? The biennial DMA Report explores direct marketing’s economic impact on the US economy. It usually focuses on key areas like historic trends, current-year predictions, 1 to 5 year projections, sale figures, return on investment and employment. This year’s report major finding is that it’s the digital media that will have the biggest impact on the USA’s ability to bounce back form the current crisis. The total spend on digital marketing has grown by $14.5 billion since 2006; most of which is attributable to internet marketing. The report also suggests that this growth will continue throughout the next 12 months, and that the digital media is expected to see an increase in its share of the overall marketing budget, rising from 19% to 21% by 2012. But, what of direct marketing? Well, the DMA research suggests that direct marketing-driven sales will also grow, by as much as 7.1% year – taking the spending to almost $2 trillion. Overall sales in the US are only expected to grow by 5.1% by contrast. Direct marketing accounts for 52.1% of the total advertising spend in the US and looks set to grow even further. The report also forecasts that the leading marketing channel for the next couple of years at least will be mobile marketing. The annual growth rate is predicted to be around 50% over the next 5 years. Social media marketing and internet marketing will grow by more than 20%, with search and display, the two largest internet advertising components, predicted to grow by around 18% this year. Spending on the older, more traditional channels is nowhere near its peak of 2007, but it is showing some signs of resurgence. Direct mail bounced back somewhat with a 4.6% growth, whilst direct response TV saw a 6.1% increase. The reason for this resurgence is put down to the fact that consumers and marketers tend to gravitate to what they know and trust. For all its popularity, internet marketing is still in its infancy, and has yet to prove its effectiveness over a prolonged period. People know from experience that direct marketing is a proven channel, and though it might appear old-fashioned by comparison, they still tend to trust it more. Has Google+ Over-Estimated Its Popularity?Building In-Bound Links The Easy Way.